If Jedox is not used in a cluster setup (all services are running on the same server), the following configuration can be used. Parameter is the ca bundle, which contains root certificate and intermediate certificates. Parameter is a certificate file combined with the private key. Parameter is diffie hellman param file, which can be generated. Important: the port used for the “admin” connection is used for all other internal settings. Here you have to adjust the httpd.conf. Define JDX_SSLCERTIFICATEFILE_TMPL "<path to certificate>"
Define JDX_SSLCERTIFICATEKEYFILE_TMPL "<path to privatekey>"
After that save the changes and restart the service/processes. 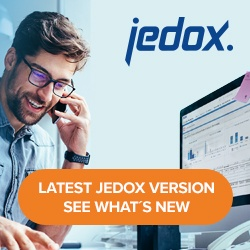 Adjust the connections in Jedox Web to use the internal interface 127.0.0.1 and port 7790.